Enzymes are living biological substances that can help speed up any chemical reaction without itself being reduced. But, they work better under certain temperature and pH value. Therefore, these are also called as biological catalysts. Since textiles industry uses many such chemical reactions, enzymes today are a vital part of the textile production system. Applications like pectinases, lipases, proteases, catalases, and xylanases are used in textile processing. In today’s world, the use of enzymes in textile chemical processes has been recognized world-wide as they are very much eco-friendly and secondly they are non-toxic so, it does not pose any harm to the people or the vegetation around. It also helps in speeding up the process. As today there are lots of restrictions on the industries in order to maintain the environment, usage of enzymes appears to be an excellent alternative to reduce the pollution to some extent. Some of the enzymes used in textile industry are catalase, laccase, amylases etc. Because of the above mentioned advantages enzymes are very widely used in the textile industry today. Therefore, there is a requirement of availability of sufficient availability of such enzymes. Commercially there are three major sources of enzymes animal tissue, plants, and microbes. But since the natural occurrence of enzymes are limited they are commercially produced by providing the desired temperature and optimizing the growth conditions. This process is called fermentation. In textile production, enzyme application is mainly used in preparatory finishing where amylases is used in de-sizing process and in the finishing area celluloses are used for softening, bio-stoning and reducing of pilling propensity for cotton goods. Some of the applications which use enzymes in the textile processing are fading of denim and non-denim, bio-scouring, bio-polishing, wool finishing, peroxide removal, decolorizing dyestuff etc. When the enzymes are used for any process the residue after the completion of the process is biodegradable i.e. it can disposed in the nature without causing any harm to the environment since they are non- toxic. They are therefore called eco-friendly. Earlier may toxic, hazardous chemicals were being used for the textile processes which used to cause a lot of pollution but now it has been replaced by the enzymes. This makes waste water to be treated easily with minimum cost. Enzymes act as catalysts and remain the same after the reaction. It speeds up the reaction by increasing the rate of particular reaction and lowering the activation energy of reaction. Enzymes are very specific and they catalyze only on some specific substrates. Substrate is the material upon which an enzyme acts. It will react only to a specific substance. Every specific enzyme has a specific temperature and pH value in which they perform their best in speeding the chemical reaction but any temperature or pH beyond the specified one would only degrade the enzymes performance. Since each enzyme has a specific condition under which they perform, it makes it very easy to control the enzyme. They do not attack the fiber structure which gives a better material and there is no weight loss too. Just control the specifics and don’t bother about any other issues. Easy controlling means less chances of having any problem therefore better results. Enzymes can measure very tiny concentrations of substances. Enzymes can be easily reused. Limited usage of water (one of the most useful and scare resource).Water usage is reduced by almost 19000 liters per ton of textile bleaches. The only disadvantage of enzymes are that they are expensive and if the enzymes are not used up in reaction then, separation from product is time consuming and expensive. Size is the name given to the substance that is applied to the warp threads before weaving. It forms a coating around the surface of the thread which provides lubrication and prevents breakage of warp threads during weaving. Starch is often is used as a “size”. It specifically hydrolyses starch but does not affect cellulose. 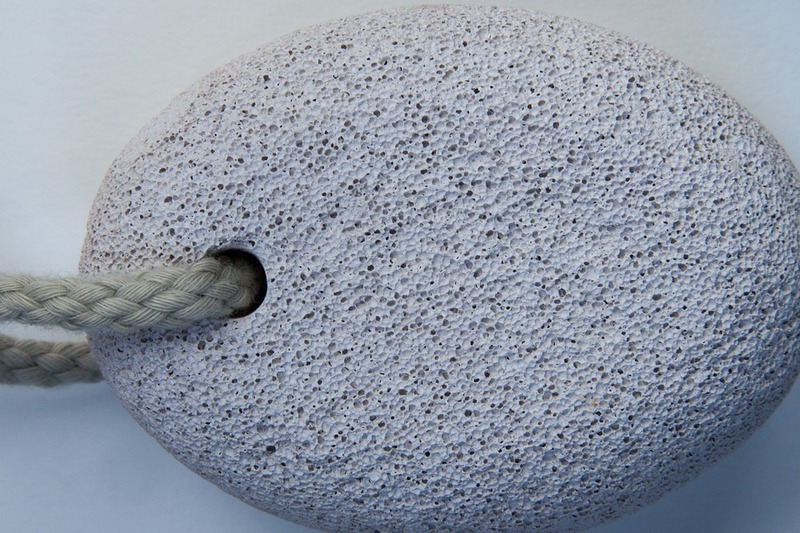 Since using pumice stone in washing jeans damages the cloths, using enzymes one can get the same effect. Using celluloses can give the same effect without damaging the cloth and also the a small dose of enzyme instead of several kilograms of pumice stones which results in better garment quality due to less damage in garment and the machine. This process is called Bio-Stonewashing. Protease to break down protein stains. Amylase for removing starch soiling. Cellulose to keep cotton cloth looking new like. Lower washing temperatures may be employed with consequent savings in energy consumption. Scouring means removing waxes or other impurities on the fiber gives a fabric a high and even wet ability so that it can be bleached and dyed successfully. Earlier highly alkaline chemicals like caustic soda was used for scouring which definitely cleans the fiber but also attacks the cellulose which results in poor quality and strength of the fabric. It also releases lots of toxins in the waste water which are very hazardous. By using enzymatic – scouring, the fabrics strength and weight remains intact and there are no health hazards too. The fabric gives better wetting and penetration properties, making the subsequent bleach process easy and giving much better dye. For bleaching surfactants that are environmentally friendly are used. a wetter/stabilizer that maximizes the wetting and detergency of the bleaching process and a one-bath caustic neutralizer and peroxide remover in order to shorten the bleaching cycle, reduce energy and water required and deliver more consistent bleaching results are used. Enzymes used for bleach clean-up ensure that residual hydrogen peroxide from the bleaching process is removed efficiently – a small dose of catalase breaks hydrogen peroxide into water and oxygen resulting in cleaner waste water and reduced water consumption. Bio-finishing means removing fiber fuzz and pills from fabric surface. This is also called bio-polishing. Enzymatic bio-finishing yields a cleaner surface, softer hand feel, reduces pilling and increases luster of the fabric or garment.